We’d love your help. 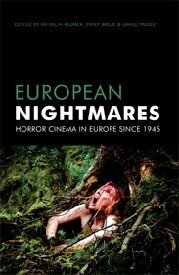 Let us know what’s wrong with this preview of European Nightmares by Patricia Allmer. To ask other readers questions about European Nightmares, please sign up. Very scholarly collection of essays using different critical approaches. Deleuzian theory went right over my head, other passages resonated like the essay about art walking. Far too much critical snobbery and references to 'low culture' for my taste.